Studio@Gawker is Hiring a Netflix Junkie to Live The Dream. Is It You? Truth, beauty, liberty and the ability to binge-watch episodic police procedurals for money — it’s the American dream of the Internet. Are you brilliant, eager and capable of churning out stories like the fate of the world depends on you getting your blog post up on time? Do you already comment actively on Kinja? 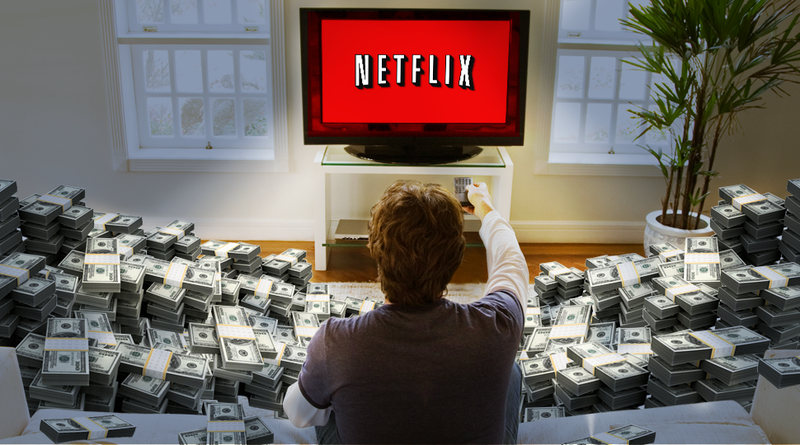 We’re looking for the perfect person to write about all things Netflix, and to get paid doing it. From weekly documentary discussions to a guide to the best episodes of The X-Files, we need someone who can do it all. Breaking into the TV and movie writing big time might seem like a pipe dream, but this won’t be the first time a superstar has been discovered in the comments. One must look no further than the legend of LolCait to see that it’s more than possible to be plucked from anonymity and rise to Internet fame. Are you the next LolCait? Prove it. Our favorite submissions will be put into consideration for a two-month-long paid gig writing for netflix.kinja.com. You'll be responsible for writing five to eight posts per week and participating in a weekly editorial meeting. To apply, write two posts on your personal Kinja. Post 1: Show off. Bust out your writing arsenal. Tell us why you should be the chosen one. Explain your passion for TV and movies, and discuss your history in the Gawker community. Make sure your personality is prominently displayed. Be convincing. Post 2: Go to Netflix and watch John Lennon: Love Is All You Need, and write an approximately 500-word review. Then, send both URLs, along with your full name, phone number, social handles and location to netflix@kinja.com no later than 10am EST on Tuesday, November 19. Promote your posts! Encourage conversation! We’ll be evaluating your ability to start a discussion among other Kinja users as well as making sure you’re a sparkling writer, so don’t be shy. Standard contest rules apply. Only open to US residents. The contest begins at November 14 at 6pm EST and ends on November 19 at 12pm EST. This post is part of a sponsored collaboration between Netflix and Studio@Gawker, Gawker Media's advertising creative team. So to be clear, yes, we're making money from this, but you could be too!